Mobile World Congress is the world’s biggest mobile-centric trade show. Major manufacturers from around the globe come together to announce all their new stuff at the Fira Gran Via in Barcelona, Spain. Typically, we expect to see new devices from Samsung, LG, Sony, and the like, but sometimes a dark horse company has a trick or two up its sleeve. So, to get you revved and ready for what’s to come, here’s a look back at some of the most memorable moments from MWC 2015. Samsung’s Galaxy S6 stole the show in Barcelona. After lackluster Galaxy reveals in 2013 and 2014, last year’s Galaxy S6 helped bring some pep back into Samsung’s step. The phone was not only a bold departure from the polymer-body handsets the company had previously produced, but it also felt like Samsung had finally listened to what its users wanted. The S6 introduced a fantastic camera, a Quad HD display, a metal-and-glass body, fingerprint sensing, and mobile payment technology that’s even more widely accepted than Android Pay. The Galaxy S6 Edge, which featured most of the same specs, was also announced alongside the S6, and that helped remind us of Samsung’s design ingenuity. Just look at those curves! The HTC One M9 turned out to be a huge disappointment. HTC’s MWC 2015 was actually a bust, as the HTC One M9 turned out to be quite a disappointment. Not every phone has to be a total reinvention of its predecessor, but we expected that HTC would have at least attempted to push the envelope. Instead, it showed the world a reprise of its last major hit. The One M9 looked almost exactly like the One M8, and its Snapdragon 810 processor was plagued by overheating issues. Its battery life paled in comparison to its competitors, and its 20-megapixel camera was grossly mediocre. We expected a ramp-up of some of the genius HTC put into the One M8, but all we got was a rushed-out device. It’s possible that after that shameful phone launch, HTC might steer clear of MWC for a while and do their own thing at a later time. The Vive overshadowed HTC’s flagship phone announcement at last year’s MWC. So, this probably explains why the One M9 was such a disappointment: HTC may have spent all its time prepping its big virtual reality announcement for MWC. Honestly, the company should have just led with the Vive to begin with, and announced the M9 at a later time. 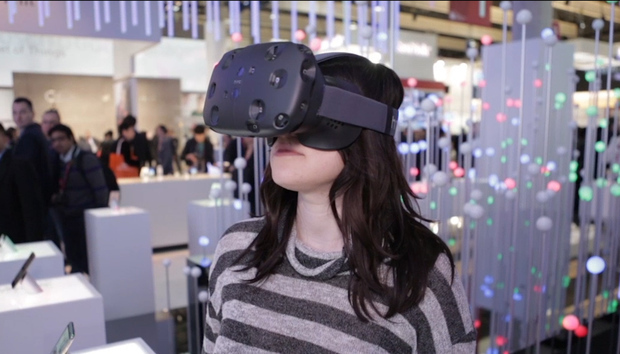 When I tried out the HTC Vive at MWC, I was completely sold. It was so incredibly immersive. I didn’t actually get to play any games when I tried it on, but I did get to experience a demo where I swam around in the ocean with a whale and painted with all the colors of the rainbow in the sky—it was amazing. The Huawei Watch proved that Android Wear watches can be both stylish and high end. At last year’s MWC, Huawei announced that it was branching out into wearables and introduced a collection of stylish Android Wear watches. The specs were similar to most other smartwatches, but Huawei still offered a bit of style and flair that no other manufacturer was showing off at the time. It took a while for the Huawei Watch to eventually make it to market, but the Android Wear world is better for it. We’re expecting a few other surprises to delight us this year in Barcelona, so be sure to follow all of our Mobile World Congress coverage on Greenbot starting February 21.